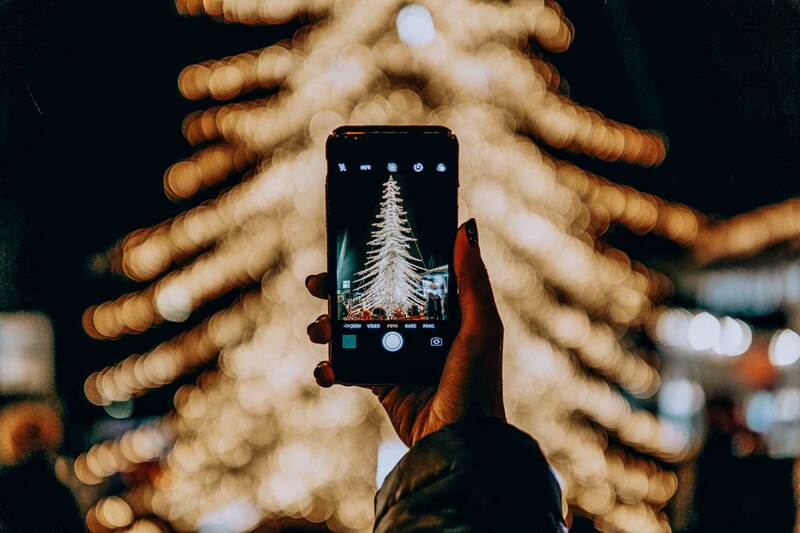 Once we’re past July and start heading into the second half of the year, it means Christmas is just around the corner, and you must prepare for the best time of the year. Starting at the end of November, in the beautiful city of Germany, Cologne – a stunning destination all over the year – one of the world’s greatest German Christmas markets takes place, the Cologne Weihnachtsmarkt (literally Cologne Christmas Markets). This magical festival is an ancient tradition celebrated across the German-speaking countries of Europe and dating all the way back to the 14th century. Their original purpose was to provide shelter, warmth, and food, for those who couldn’t afford it during the weeks of Advent before Christmas. Nowadays, German Christmas markets are lovely fairs of joy and prosperity, where thousands gather to buy food, drinks, gifts, and decorations, for their loved ones in the coming holidays. 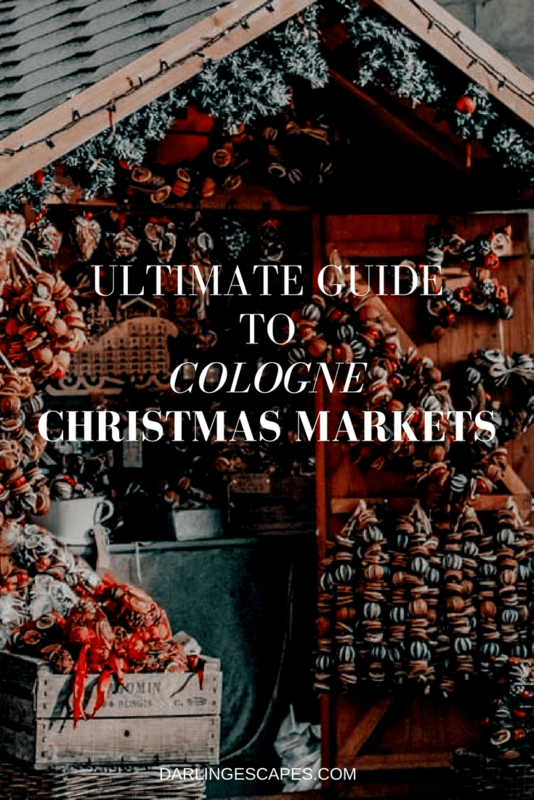 In this comprehensive guide, we will show you everything you need to know about Cologne Christmas Markets, from the best marketplaces to buy gifts, to the best places to enjoy traditional cuisine. Before we dive into the fantastic experiences and activities that you can enjoy in the markets, you should know first how to arrive and when precisely does the market sets in, so you can schedule your trip and come prepared. The quick and simple solution that’s available worldwide is taking a flight directly to the Cologne Bonn Airport, which is just 15 minutes away from the center of the city. You can also arrive at other nearby airports in Germany if you find cheaper flights, like the Düsseldorf International Airport or the Frankfurt Rhein Main International Airport, where you can take a train to the center of Cologne. Be warned that the train trip – although it’s a beautiful ride through German sceneries – can take up to two hours. If you’re already in Europe or you’re flying to any other European country and would like to visit the Cologne Christmas Markets, you can take a train from most countries that will take you to the center of Cologne. You can get directly to the city from Amsterdam, Brussels, Luxembourg or Paris, and from any other town that connects to those destinations, like London. Dorint Hotel am Heumarkt Köln (Check latest rates here): Fantastic location and very easy to walk to all of the sites. Perfect for visiting the Christmas Markets. It also comes with excellent breakfast options. WHEN DO THE MARKETS OPEN? November 27th until December 23rd. You’ll find dozens of markets open throughout the city, from 11 am until 10 pm. This is an understandable question if you’ve never visited Cologne during the Christmas season. Luckily, finding them is easier than expected. If you come by train when the markets are already open (November 27th) as soon as you’re out of the station you’ll start catching glimpses of the many markets set throughout the city. Especially the “Am Dom” market right by the Cologne Cathedral, which you can see right from the train station. The Christmas Market at the Dom is one of the oldest and largest marketplaces in Cologne, located right in front of the Cathedral Church of Saint Peter and housing one of the most magnificent Christmas trees you’ll ever see in the center of the market. 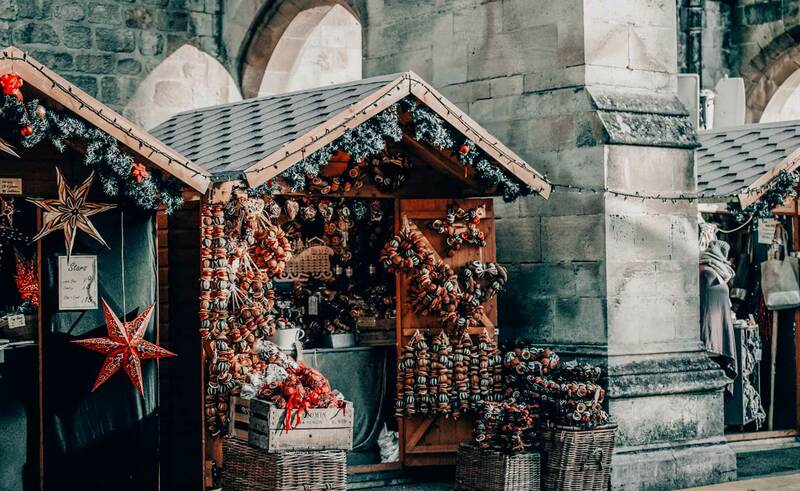 Over a hundred stands are spread throughout the square offering a myriad of beautiful things: amusing hand-crafted gifts, traditional food and drinks, modern and antique Christmas decoration for your house, and many others. A different experience the traditional Am Dom market, Heimat der Henzel is a beautiful market by an ice rink where you’ll find families enjoying many ice-skating activities. Once you’re done skating, you can stroll around the streets of the market, divided by specialization, one for foods, another for drinks, and finally gifts and antiquities. This is a marvelous place and a bustling market, that attracts tourists and locals alike with its blend of gothic architecture and wonderful modern attractions. The Angel Market is a calmer experience catered towards couples and smaller group, some of the classiest shops can be found in this market. However, that doesn’t mean that anyone can enjoy this relaxed and beautiful place. Decorated with amazing white lights and chalets, this location is a stunning market that stands out from the rest. One of the best offers in this market is the local food that is prepared right in front of you in open stands. If you’re traveling with your kids you can’t miss the marketplace at Rudolfplatz, where fairy tale characters walk around the market and toy decorations can be found in every corner. Also right across the street of Rudolfplatz, you can find Nikolausdorf Village, where you can find smaller stalls special for children, where they sell toys and offer supervised craft activities. One thing that stands out is that in Nikolausdorf is that Saint Nicholas “workshop” resides in its center, so the kids can meet Saint Nicholas and take pictures with him in a wonderfully decorated traditional environment. 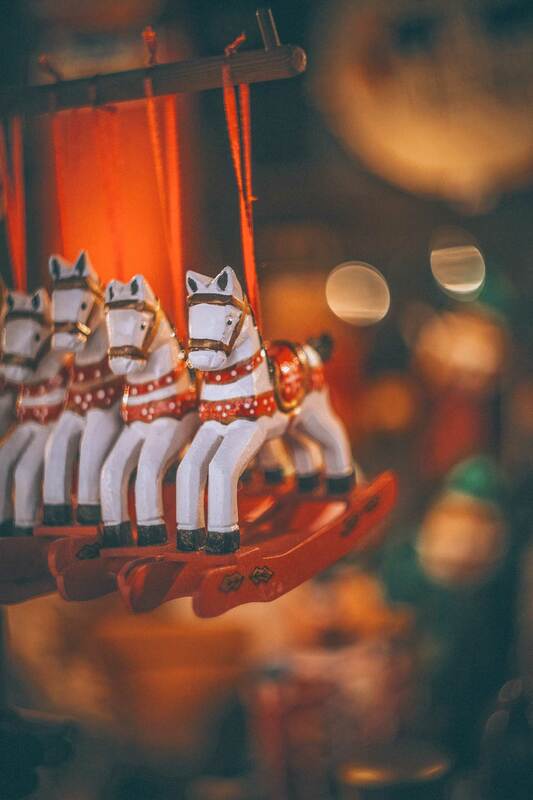 Something relatively new and modern amongst Cologne Christmas Markets is the inclusion of the LGBTQ+ community, and since Cologne is the capital of gay and lesbians in Germany, you’ll find a fabulous Christmas market ran exclusively by their community. This is an entirely different experience where you’ll find pink and purple stalls with a variety of amusing gifts and foods. Several performances and stages are set throughout the street, and you can enjoy excellent music and arts with this friendly and open community. If there’s something we can recommend that you buy in Cologne Christmas markets, is the delicious and unique food they serve during the season. Freshly prepared right in front of you, you can delight in a myriad of exquisite dishes that range from small and healthy snacks like roasted chestnuts to a full course of desserts Desserts. A drink served in almost every market is the traditional Mulled Wine, a red wine enriched with fresh fruits and served hot, this drink will put you in a great mood and help you battle the cold. If you don’t fancy alcohol, don’t worry, there’s an even better option for you: hot chocolate! In many stands of the Cologne Christmas Markets, you’ll find the best chocolate in Germany to enjoy with your family and friends. There’s something magical about the tradition of Weihnachtsmarkt in Germany, that combination of feelings that come from the dozens of families and friends strolling through the streets, buying gifts for each other, indulging in the most amazing foods, while sharing and enjoying the Christmas mood, is a wonderful experience you must see for yourself. 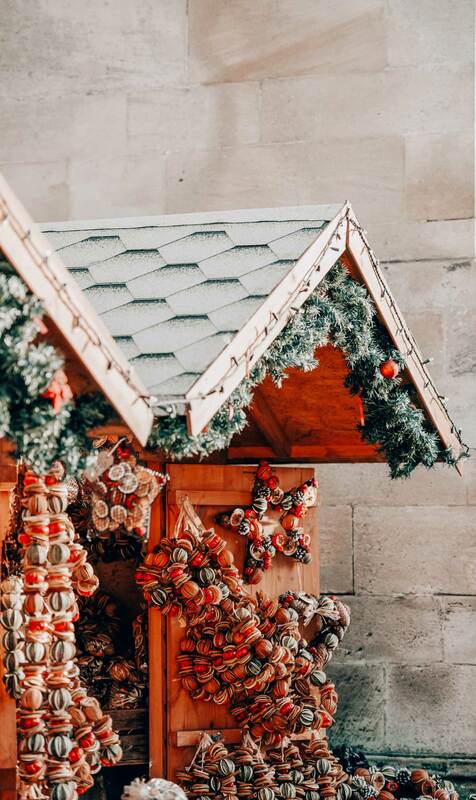 These Cologne Christmas Markets are some of the best in Europe and will keep you entertained and make you wish Christmas would come early next year just to go again. Winter is just around the corner! Schedule your next trip early, and you can hopefully visit the wonderful Cologne Christmas Markets this year.